There is plenty of upcoming rappers to watch for in 2013, and KYLE is one of them. 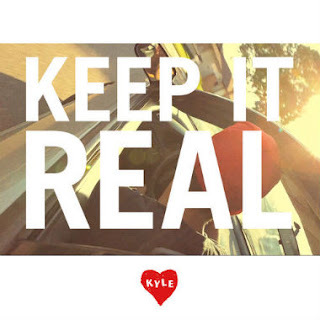 He released his latest song called "Keep It Real" featuring production from DJ Carnage, who is also a name to follow up on this year. But this new song is pretty self explanatory as to what it is about, but the So-Cal native makes sure you full understand as he kills the beat. Stayed tuned in the coming weeks as a video for this song is said to drop on January 29th. Listen and download below.